While climbing through FL 350 ft., 46 minutes after takeoff, a bomb exploded in a container in location 13-R in the forward cargo hold. 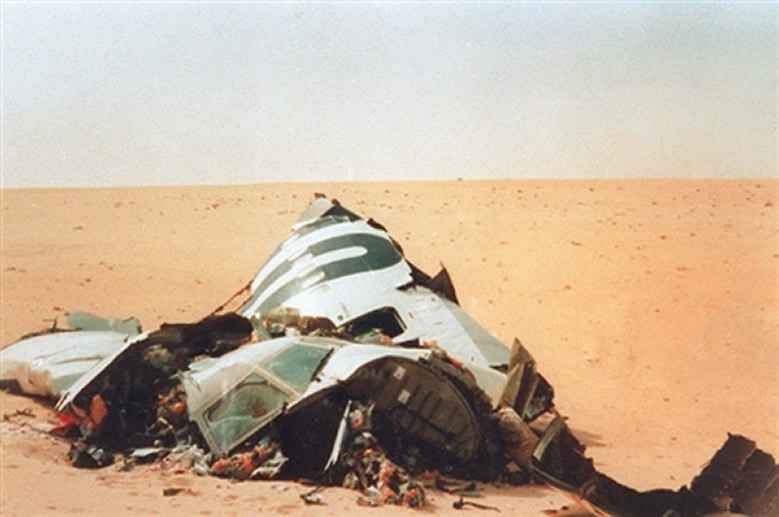 The aircraft disintegrated and crashed into the desert. A Congolese man, who boarded at Brazzaville and disembarked at Ndjamera was believed to have brought the bomb aboard.